I’m a sucker for romance anyway, but the sight of two people who have probably been married for decades and still love each other? Be still my heart. As a relatively antisocial person I spend a large proportion of my time trying to avoid people but this makes finding someone that I truly like spending all of my time with even more miraculous. I don’t hate everyone, obviously, but I’m pretty darn picky, so if we’re friends you should take comfort in the fact that you must be quite awesome. I’m also a big, big fan of hand holding. Were it up to me it would be socially acceptable to hold hands with many more groups of people than it is. I still hold my mum’s hand when we walk together even though I’m pretty sure she finds this a bit weird. If you’re under the age of 10 I will be holding your hand in mine. I don’t care if it makes you uncomfortable – it’s happening. 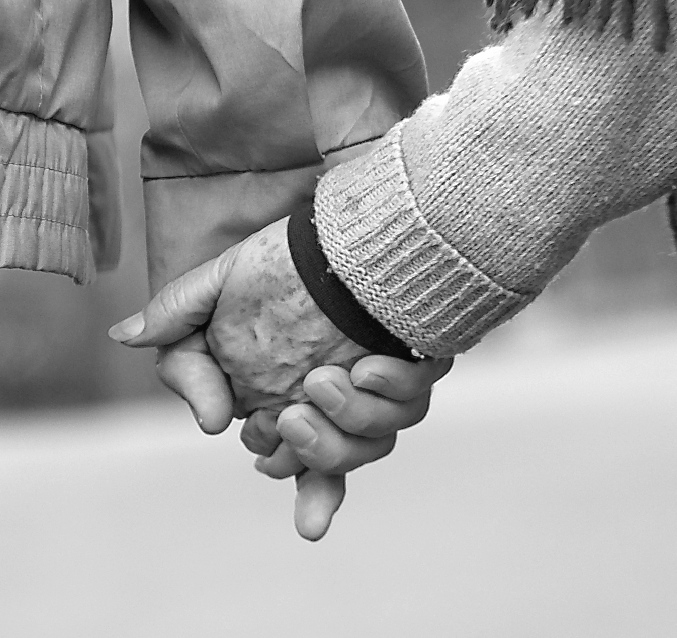 So to get to old age and still want to be tactile with your partner is a beautiful thing. It gives me hope that relationships can last, that it is possible to find that one person you are meant to share the rest of your life with, and even years down the line you’ll still want to feel physically connected to them. That makes me happy. People need other people to survive (and I’m not just talking on a carnal, reproductive level). The universe runs on connections, whether it be the connection between lovers, friends or family. It would be nice to think that at certain points during your (hopefully long) life you have made these connections with other human beings, that you have left your mark. Because at the end of it all, isn’t that kind of the whole point?